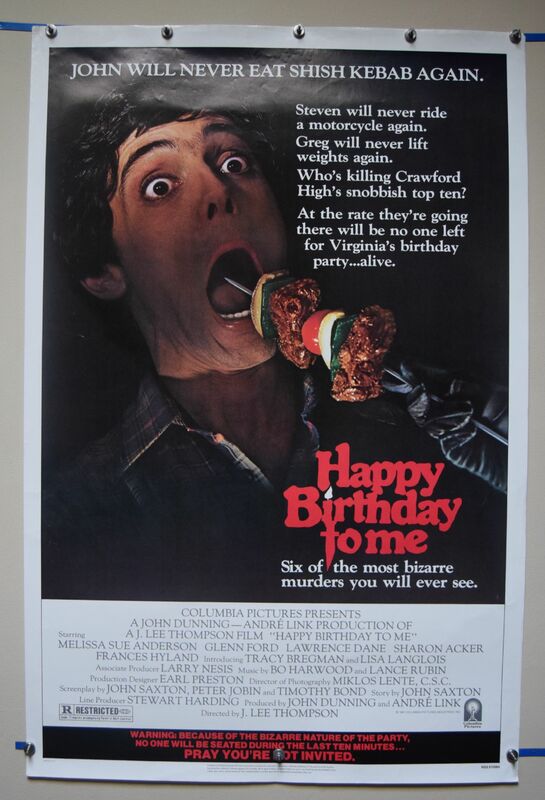 Happy Birthday to Me (Columbia Pictures Corporation,1981) US One Sheet Poster Size 27" x 41"
Directed by J Lee Thompson. Starring Glenn Ford and Melissa Sue Anderson. 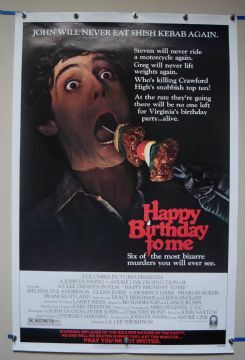 At the snobby Crawford Academy, Virginia's group of friends start to go missing years after horrible events that happened to her as a child around her birthday.The poster has very minor handling wear. Displays great! Grade: (C9) Very Fine / Near Mint.